The awareness of belonging to something unique: this is the spirit that drives our partners since 1944, when Cloema s.c.r.l. was founded. Seventy years made of history, tradition, expertise and love for mechanics that have been underpinning our company. Year after year, the ongoing research of quality, the will to push one’s limits and improve oneself enabled Cloema to develop more and more and to learn an almost unique Know How in different fields of precision mechanics. Our company produces a wide range of items on behalf of third parties; for instance, specific small/medium/large items for the oil&gas sector, as well as for research purposes in the radio astronomic, physical and optical fields; special equipment used in the restoration of works of art and prototypes according to the customer’s requests. Cloema ranks among the companies that are able to deliver top quality products: controls carried out at every step of production enable us to closely monitor the production of every single item. As far as controls are concerned, the applied quality system complies with the UNI EN ISO 9001:2008 standards. We constantly try to meet our customers’ needs by delivering products that complies with the requested specifications in the respect of costs and schedules. We make every possible effort to improve our company’s structure and production processes because we believe that the “quality” of the service we provide strongly depends on the “quality” of processes. From raw materials to machining, from tests to delivery, every step of production abides by strict quality standards, aimed at guarantying top quality for our clients. Cloema’s aim is set and clear: delivering top quality products. Always. 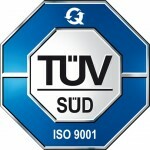 Certified Company UNI EN ISO 9001:2008.